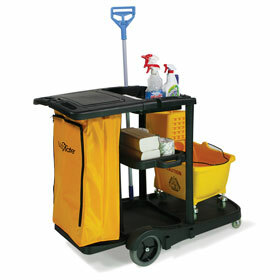 LodgMate cleaning carts make any clean-up job a breeze! 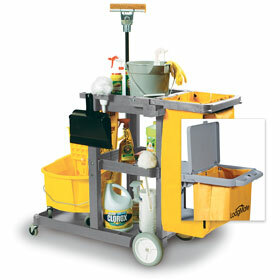 Carts fully loaded with 25 gallon vinyl bags, refuse bag cover options, shelving & hooks! Order today! Size: 43.25" x 18.5" x 38.25"
Size: 51" x 21.5" x 39.25"